1. What does the future hold for Artemi Panarin? Panarin could become an unrestricted free agent July 1 and has said he's unsure about signing a long-term contract with the Blue Jackets. Last season, the 26-year-old forward set a Columbus record with 82 points (27 goals, 55 assists) in 81 games, 34 more than its second-highest scorer among forwards, rookie Pierre-Luc Dubois, who had 48 points (20 goals, 28 assists) in 82 games. Trade speculation has already begun. The Blue Jackets could test the market for Panarin before or during the season, but they wouldn't be dealing from a position of strength. 2. Can they finally get past the first round? Boone Jenner said the Blue Jackets must follow the example set by the Washington Capitals if they want to advance past the Eastern Conference First Round in the Stanley Cup Playoffs for the first time in their history. The Capitals, who had failed to reach the Eastern Conference Final since Alex Ovechkin entered the NHL in 2005-06, won the Stanley Cup last season for the first time in their 43-season history. During its run, Washington rallied from down 2-0 to eliminate Columbus in the first round in six games. "That's a team that might have learned to lose before they learned to win," Jenner said. "I think that's a lesson for some teams like us going through some of that now." 3. 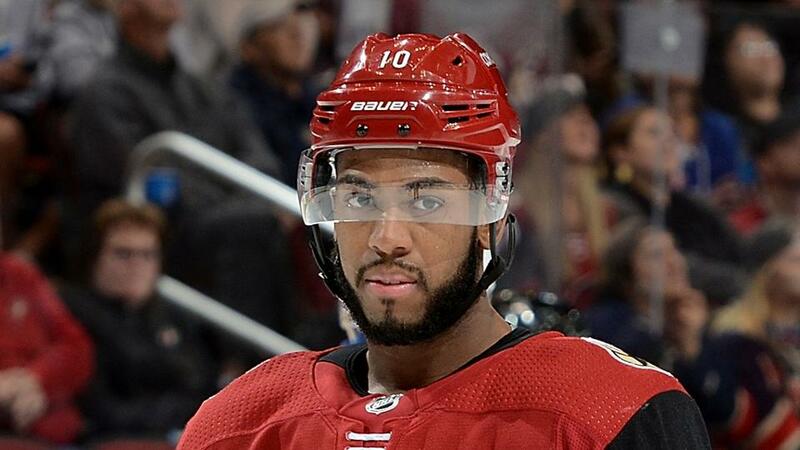 Will Anthony Duclair take advantage of the opportunity? Few teams were interested in Duclair after the Chicago Blackhawks did not extend him a qualifying offer, making him an unrestricted free agent July 1. Duclair, who agreed to terms on a one-year, $650,000 contract with Columbus on July 5, had 23 points (11 goals, 12 assists) in 56 games with Chicago and the Arizona Coyotes last season. He scored 20 goals in 81 games as a rookie with Arizona in 2015-16. The Blue Jackets hope the 22-year-old forward can have similar success to forward Sam Gagner, who had an NHL career-high 50 points (18 goals, 32 assists) in 81 games after signing with Columbus on Aug. 1, 2016, following a disappointing season with the Philadelphia Flyers. "That's a good analogy," Columbus general manager Jarmo Kekalainen said. "Both have high-end skill. Both have, in the big picture on their career paths, fallen a little bit short, needed a fresh start, needed a new opportunity. "This is about the opportunity, not about the dollars."